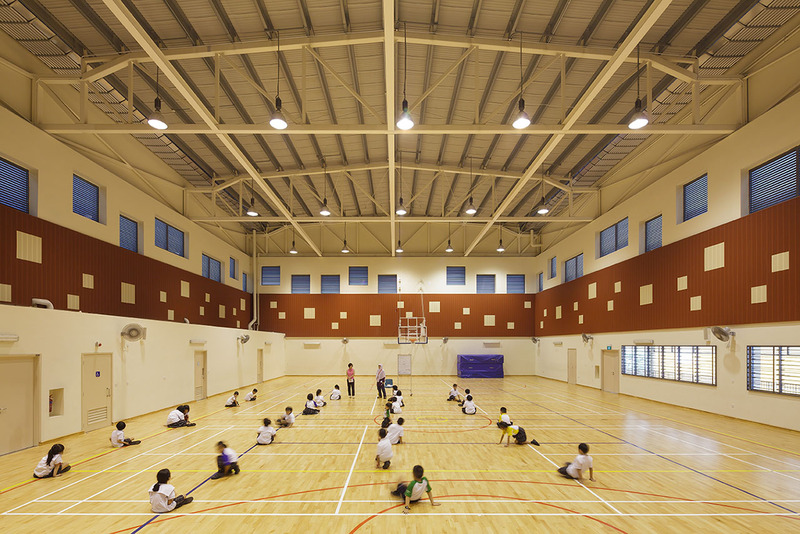 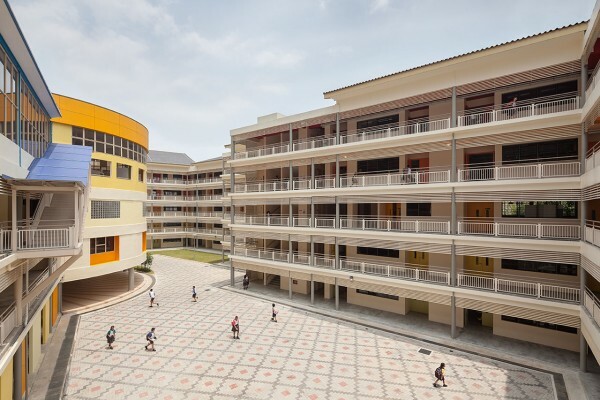 The upgrading of SengKang Primary School (SKPS) entails the construction of 2 new blocks (Admin Blk & ISH) as well as, extensive A&A works to all existing classrooms and special teaching rooms. 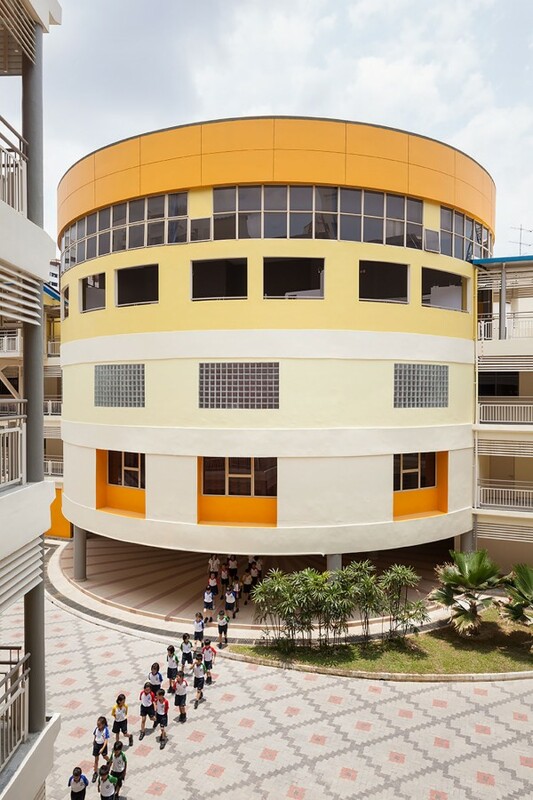 The design is inspired by the initiatives of the school to create vibrancy by optimizing quality interaction of the learner with his learning environment and community. The notion that students can learn beyond the boundaries of their classrooms, and hence the emphasis on enhancing outdoor experiential learning, is translated into a series of exploratory thematic gardens and heritage walk, integrated as part of the school to form the ‘Learning Trail’. 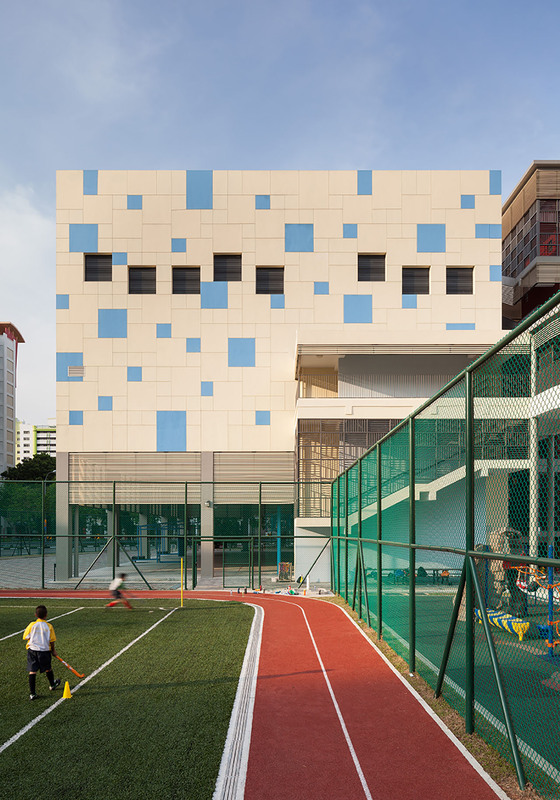 Pockets of open spaces, spillover zones, roof terrace and a reading park enable students and teachers to gather for creative learning. 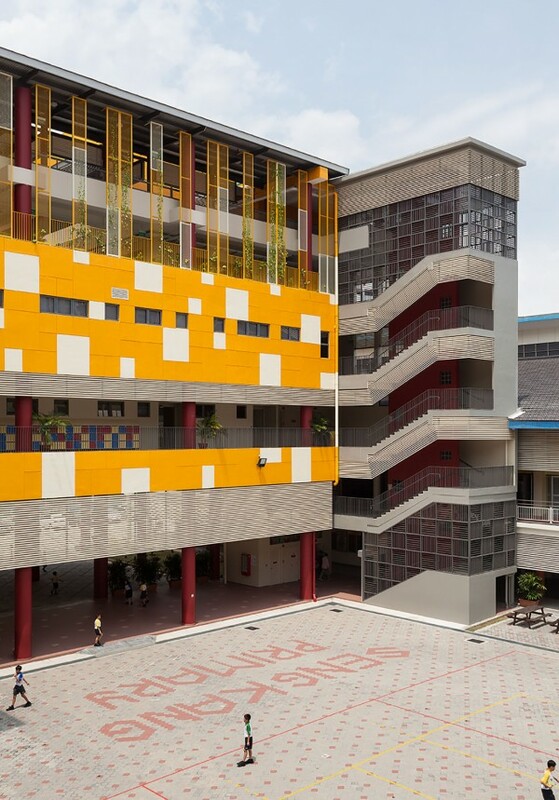 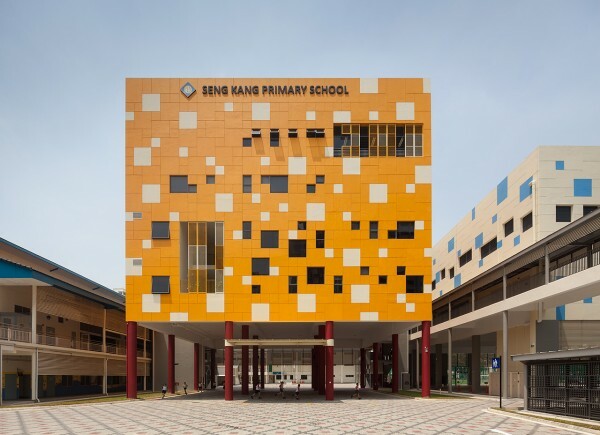 Besides fulfilling the latest MOE specifications for upgrading (PRIME & SSPS), the strategy of placing the new 5-storey administrative and special teaching block at the main entrance of the school also facilitated the creation of a ‘face’ for SKPS, giving a distinctive identity. 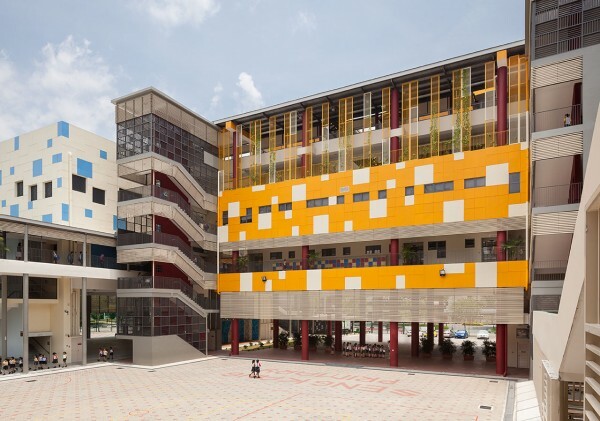 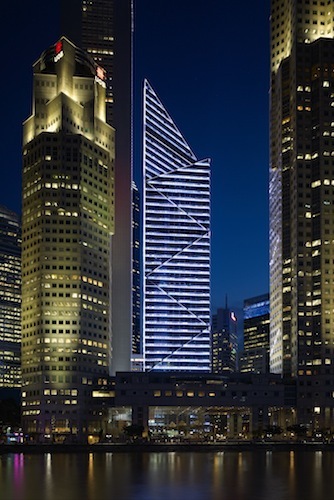 “Peek-a-boo” openings on the new colourful façade present a cheerful and welcoming front for all its visitors and users.